Our first official stop on the Circle Farm Tour was at the Tulips of the Valley Festival on Seabird Island [Google Map] where we were greeted by owner, Kate Onos-Gilbert. Having a working farm with a million tulip bulbs spanning over 40 acres means Kate is one busy woman. She told us that she wanted to open up the fields to the public so all could enjoy — and thank goodness she did, welcoming thousands last weekend along. 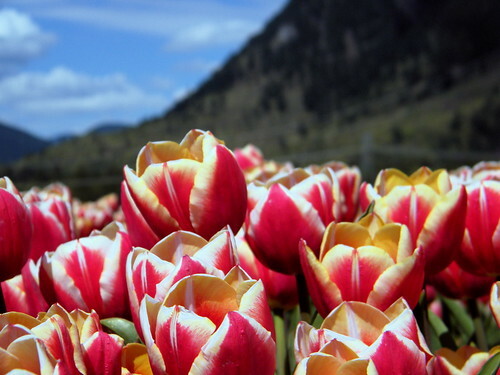 Kate also has a goal to provide Canadian-grown bulbs so everyone can enjoy tulips at home in their own gardens, and said that since the bulbs have been in this soil for three years now, they are now considered Canadian. The lifecycle of the tulip process spans over months but for a few short weeks in the spring Kate opens up her tulip farm to visitors for the festival. 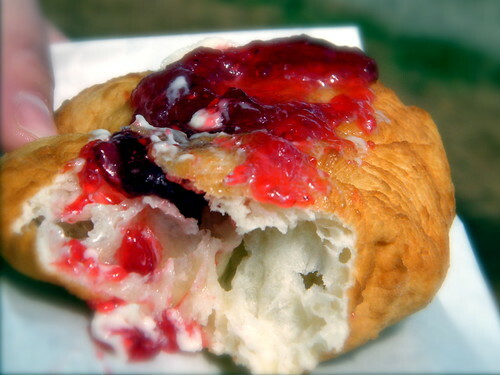 You can head out among the other 30 varieties of tulips, take photos, enjoy the scenery, as snack on some bannock made by June Harris. 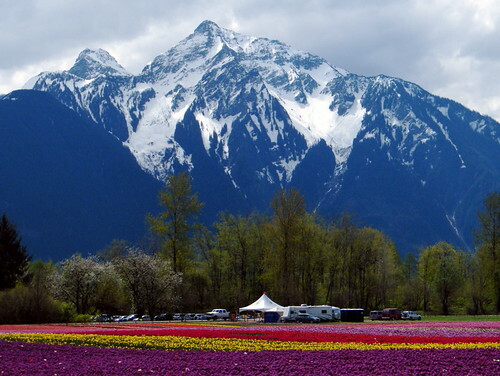 Kate has been growing and cultivating the tulips for years and seeing what types work best in Canada, since they are not indigenous to this country. 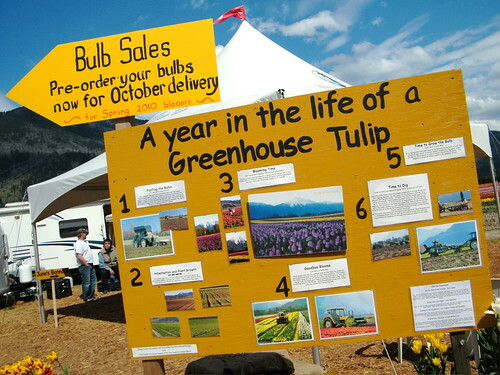 You can currently purchase almost 20 different kinds of bulbs from her fields on-site as and she also has a permanent stand at 1694 Tranmer Rd in Agassiz. 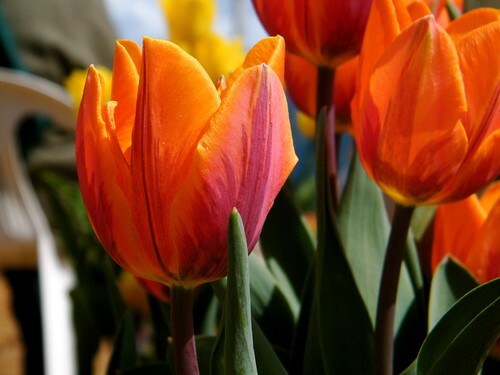 The 2009 festival only runs until May 3rd so this weekend is your last chance to check it out before the greenhouse tulip life cycle begins again. 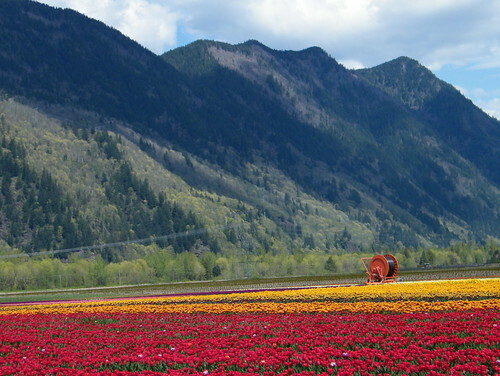 Why have I not heard of this tulip festival before, when the one down near La Conner in Washington has been well known for years? That first photo is prettier than anything out of the Washington display. WOW gorgeous pictures! It does remind me of my home country, The Netherlands :-). 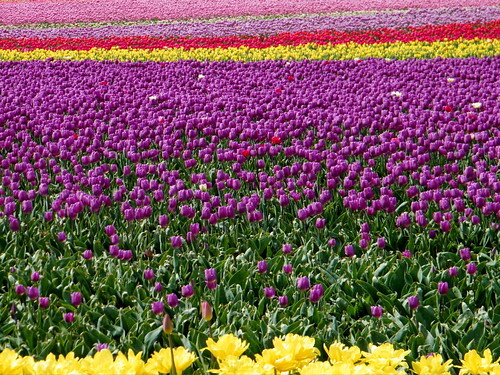 Just one thing Tulips are originally from the far east, via Turkey they came to the Netherlands who became famous for them. Like Derek , I never even knew this existed. I was only aware of the one across the border. Great pictures, I really like the first one. can you let me know when the tulip fields will be open 2010? 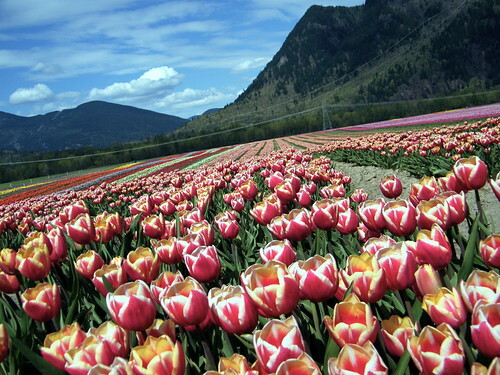 according to their website (tulipsofthevalley.com), they open on April 10th until April 25 or till the blooms are done, whichever comes first.